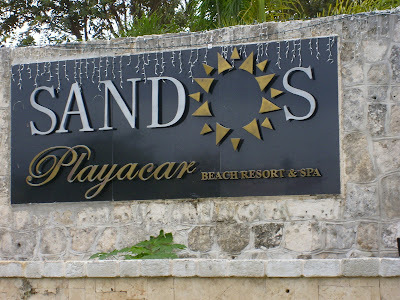 Our first full day at Sandos Playacar was all about orienting ourselves to the lay of the land. This property stretches quite far. From the beach front to the last wing of suites is probably .5 kilometres. We began by taking the shuttle back and forth, to make things a little easier for Dylan, but eventually found that the meandering walk, following the convenient white line to ensure you stay on course, was more relaxing and ultimately, more fun. I'm less than one full day into this sunshine holiday and I'm already a little poached, red from the belly button on up! I can most definitely feel my shoulders sizzling this morning. I'm stubborn though. It always takes a good burn to get me in the mood to use sunblock. There is a line that runs across my stomach, a red demarkation that I can't explain. It's as if I was standing in the water up to that point and everything submerged was protected. In any case, I look like your quintessential tourist now. I started the day nailing down my fishing plans. Tomorrow (Tuesday) morning I will head on to the seas with Captain Rick's. Four hours from start to finish, our target species will be sailfish, marlin, wahoo (whatever that is? ), dorado, tuna, and barracuda. Anyone who knows me well will know how much I'm looking forward to tomorrow! The cost of this thrill of a lifetime: just over $100. How can you beat that? "The sun is a lot more deadly down by the beach." said one tourist from British Columbia. So, we spent the last half of the afternoon in the pool just outside our unit, the boys playing in the water for a full 90 minutes while Heather and I read in the shade. 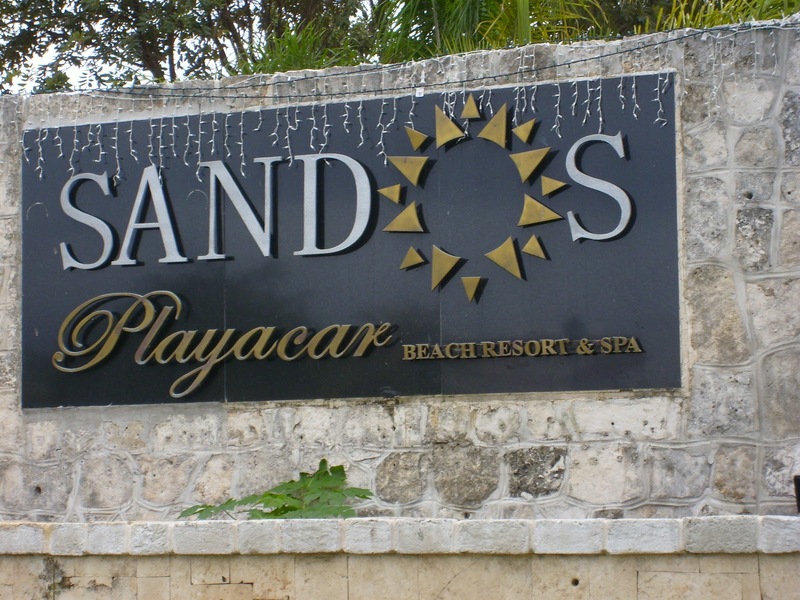 Scattered through Sandos are lounge areas specific to members which gave us a lovely outdoor cabana bed as a base of operations. 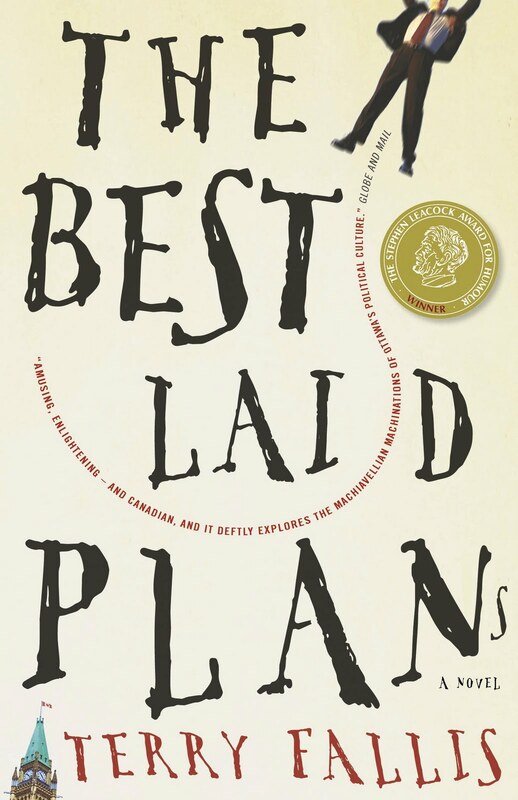 I started reading the Canada Reads winning novel for 2011, Best Laid Plans by Terry Fallis. I found myself laughing hysterically at some of his brilliant metaphors and illustrious illiterations. It is a wonderful political satire that I'll be recommending to my Council colleagues if only for the section on running a threadbare election campaign! Delightful. After dinner in yet another buffet emporium, this one of the Italian variety, we made our way over to the Teatro for the evening's entertainment called Gladiatores. The boys were so excited, picturing swords, violence, and copious buckets of fake blood. Right up to the final second when they had a clip of the WWE announcer making his grand introduction, we were fairly convinced that way lay ahead would be striking, shocking and exciting! As soon as the host mentioned "comedy show", I realized we had been led down the garden path. Gladiatores ended up being a game show of sorts as four gentlemen were selected from the audience to participate in a series of hilarious challenges, three from the USA and one from Denmark. They competed in challenges that tested their endurance, strength, and intelligence involving lots of audience participation (I got to be a judge in the beer guzzling competition) and laughs. 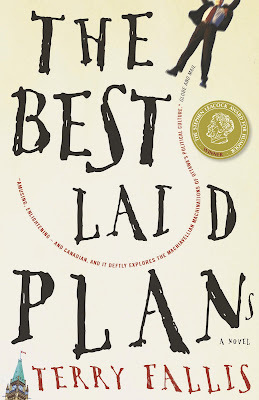 I enjoyed the whole thing as it was unpredictable, fun and engaging. Ben, on the other hand, had this priceless look of disgust on his face at the show's conclusion as his heart had been set on the blood and gore. 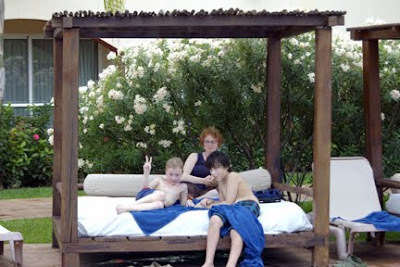 Our first full day in Mexico was very full indeed. Time is standing still, as it always does when we stop the clock for holidays. Did I mention I'm going fishing tomorrow?